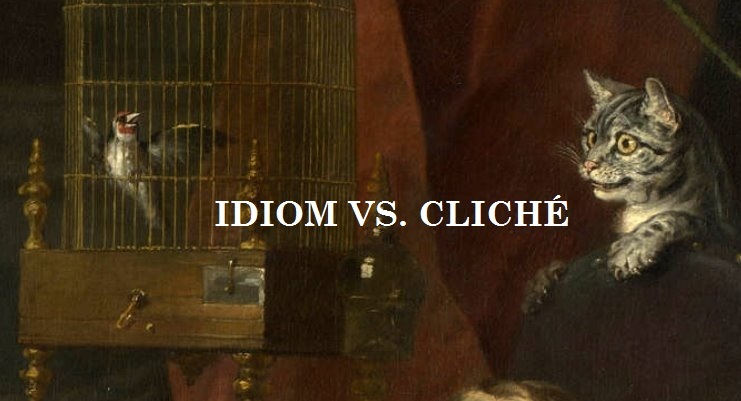 The terms idiom and cliché are often used interchangeably, especially when people talk about things you shouldn’t say. But they’re not quite the same thing. A cliché is an expression like “throw the baby out with the bathwater” or “the cat who ate the canary”—a phrase that has been repeated so often that it’s no longer effective. Clichés are like idioms in that you can’t understand the meaning of the phrase by looking at the literal meaning of each word. Throwing the baby out with the bathwater has nothing to do with babies or bathwater; it means that you’re in such a hurry to get rid of something that you accidentally throw out something valuable, too. Someone who looks like a cat who ate the canary doesn’t look like a feline. She looks like someone who is proud of getting away with mischief. But not all idioms are clichés in the same way that “throw the baby out with the bathwater” is. Consider the phrase “all of a sudden.” You probably know that this phrase means “suddenly.” But it’s hard to see why. We don’t normally use sudden as a noun, as it seems to be in this phrase. And why all? Can you have part of a sudden? Some idioms that seem nonsensical now actually did make logical sense in the past (sudden was a noun, once, but that usage died out everywhere except in this phrase). English prepositional idioms are numerous and often arbitrary. They are enormously challenging for English language learners, and for that matter, they give native English speakers plenty of trouble, too. In standard English, you can comply with a rule or conform to a rule, but you can’t comply to a rule. There’s no obvious reason why these particular words require these particular prepositions. The best way to learn which prepositions are construed with which words is by osmosis. In other words, read—a lot—and eventually you will internalize the most common prepositional idioms. Words that tend to be used together by native speakers are called collocations. In English, it’s common to describe a backup of cars on the highway as “heavy traffic.” It’s not common to describe it as “crowded traffic.” Although the phrases could reasonably be interpreted the same way, the collocation “heavy traffic” simply “sounds right” to English speakers. Take for Granted It’s easy to mishear this one as take for granite. It does kind of make sense, after all. Taking something for granted means that we fail to appreciate it because it seems like it has always been there and always will be. Granite is pretty long-lasting, right? But what the expression really means is that we mistakenly believe that something has been permanently granted to us. Just Deserts Just deserts is another example of an idiom that preserves an obsolete form of a word that has fallen out of use outside this particular expression. 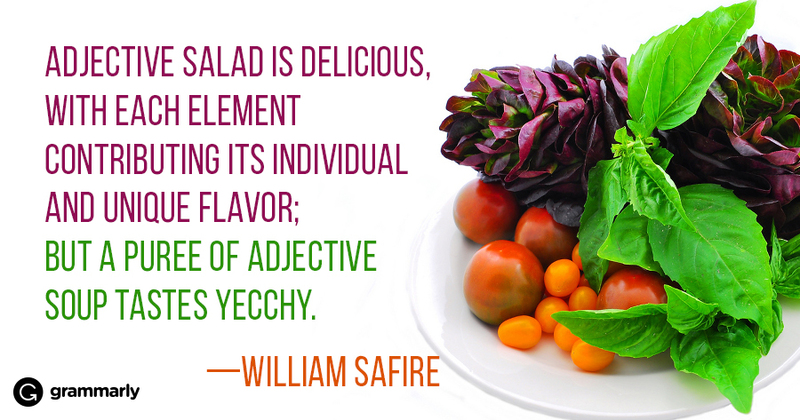 The phrase is often incorrectly written as just desserts because that’s the way we pronounce it. But in fact, this expression has nothing to do with cake and ice cream or with hot, sandy wastelands. When we say someone got their just deserts we mean that they got what was coming to them. Or, to put it another way, they got what they deserve. Deserts is an archaic noun form of deserve. У нашей компании классный web-сайт , он рассказывает про сколько стоит суррогатная мать.